In my previous article, I explored why the Catholic Church’s teaching on abortion should not be blamed for Savita Happlanavar’s death. These observations suggest to me three analogies to which this might be likened. In order, they are self-defense; life-support removal at the end of a person’s life; and the removal of an ectopic pregnancy, or, better still, of a malignant tumor from the womb. None of these scenarios is considered murder, all are (or can be) morally licit, and yet in each scenario a person dies as a direct result of the action taken. “‘The act of self-defense can have a double effect: the preservation of one’s own life; and the killing of the aggressor…The one is intended, the other is not’….Therefore it is legitimate to insist on respect for one’s own right to life. Someone who defends his life is not guilty of murder even if he is forced to deal his aggressor a lethal blow….Legitimate defense can be not only a right but a grave duty for someone responsible for another’s life” (CCC 2263-2265). Even in this case, the child is not exactly an aggressor, it is true, but if by allowing him to remain in the womb the life of the mother is guaranteed forfeit, then defense of the mother’s life allows for the child to be removed. Moreover, if the lives of both mother and child will be lost by allowing the child to remain in the womb, but the former might be saved otherwise, then it seems to me that it is a “grave duty” (though an unfortunate one) to remove the child from the womb, e.g. by inducing labor. “Discontinuing medical procedures that are burdensome, dangerous, extraordinary, or disproportionate to the expected outcome can be legitimate; it is the refusal of ‘over-zealous’ treatment. Here one does not will to cause death; one’s ability to impede it is merely accepted. The decision decisions should be made by the patient if he is competent and able or, if not, by those who are legally entitled to act for the patient, whose reasonable will and legitimate interests must always be respected” (CCC 2278). 56. A person has a moral obligation to use ordinary or proportionate means of preserving his or her life. Proportionate means are those that in the judgment of the patient offer a reasonable hope of benefit and do not entail an excessive burden or impose excessive expense on the family or the community. If the womb is like a life-support system—a respirator, for example—and the amniotic fluid and placenta have become infected, even toxic to the baby, and if the baby is dying anyway, it seems to me that inducing labor is justified by the USCCB’s Directives. This is analogous to removing life-support (not food and water, just the respirator) from the terminally ill, which again seems to be permissible in the case “extraordinary or disproportionate means of preserving life,” meaning “those that in the patient’s judgment do not offer a reasonable hope of benefit or entail an excessive burden.” In this case, the “patient” (the baby) is “not competent to make this decision, so it falls to the mother and father—and the loss of the mother’s life is certainly an “excessive burden.” To extend the analogy further, the “life support system” was failing, so unplugging it doesn’t kill the baby, though it may hasten death. “47. Operations, treatments, and medications that have as their direct purpose the cure of a proportionately serious pathological condition of a pregnant woman are permitted when they cannot be safely postponed until the unborn child is viable, even if they will result in the death of the unborn child. “international experience indicates that once abortion is introduced, even for apparently very restricted or limited situations, it becomes more widespread than was first intended….The Constitution recognises ‘the right to life of the unborn and, with due regard to the equal right to life of the mother, guarantees in its laws to respect’ that right. 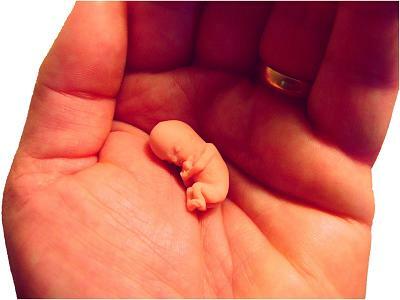 The clear intention, therefore, is to protect and cherish equally the lives of both the mother and her unborn child. That should as always be our guiding principle: respect for human life—both the mother’s and the child’s. The Catholic Church allows for action to be taken to save one when inaction results in the loss of both—the principle of double effect—and all doctors, Catholic or otherwise, should be familiar with this principle as a basic part of their medical ethics training. While the Church—and, for that matter, Irish law—might be clearer in the particulars, or might better communicate them, the principle is quite sound. [  This fact will change, however, if/when some method is developed which allows an ectopic pregnancy to be successfully and reliably treated without removing the Fallopian tube and thus killing the baby.